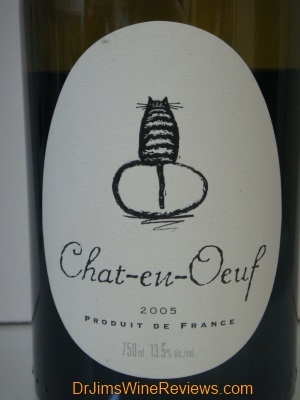 Red Wine: Chat en Ouef, 2005, France. Medium color and body with a fruity smell and juicy berry flavor with soft tannins and spice. A good light wine that puns on Chateau Neuf but missing the Mouvedre. Grape: Old vine Grenache, Syrah. 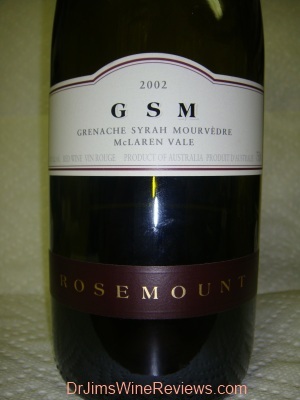 Red Wine: GSM, 2002, Australia. This wine is dark ruby red with a fine full nose of berries and spices. 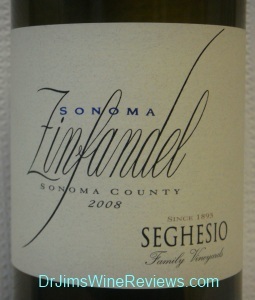 A full creamy mouthful of blueberries, fruit and spices with a well rounded full finish. A great wine for any steak. 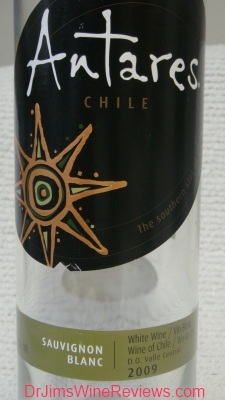 White Wine: Antares, 2009, Chile. Light color with a nose and flavor of grapefruit and fresh fruit. Mild finish. 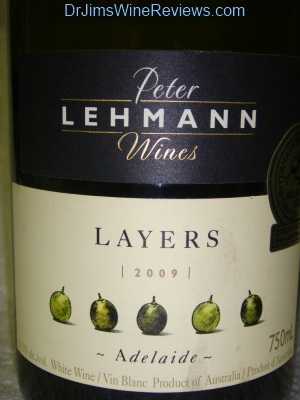 White Wine: Layers, 2009, Australia. 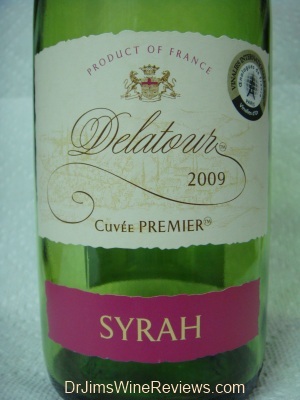 Light golden yellow color, with a nose of lemon, apple, pear and flowers(from the Muscat). A smooth mouth of apples and pears with a soft finish. Low in alcohol so it’s an easy drinking wine that would be good with salads or asian noodles. Serve chilled. 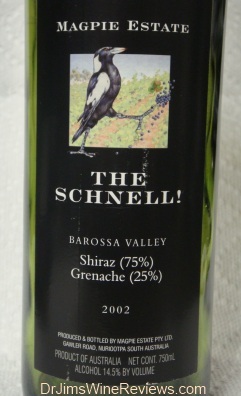 Red Wine: The Schnell, 2002, Australia. Almost black in color, this aged wine has a lot to offer with a big nose of blackberry, boysenberry and tar. A full mouth of red fruits, cherry and blackberry coats the mouth with a long tart aftertaste. 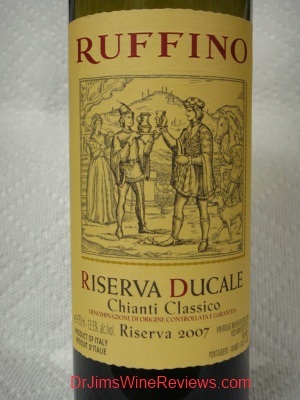 Red Wine: Riserva Ducale Chianti Classico, 2007, Italy. Medium red in color with the aroma of plums and mushrooms on the nose. Full plush mouth of plum, sour cherries and licorice notes. Dry finish. A good Chianti. Translucent red color with the aromas of plum and current. Soft rounded taste of plums and black currents with a light finish. Easy drinking wine good for light cheeses. Red Wine: Cannonball, 2009, California. Dark burgundy red in color with a full nose of black cherry, oak and dark chocolate. A full taste that cots your mouth with black cherry, fruit and cocoa. Smooth finish without any harshness that one expects from young cabs, probably due to the lower alcohol content. A good drinking wine for meat. 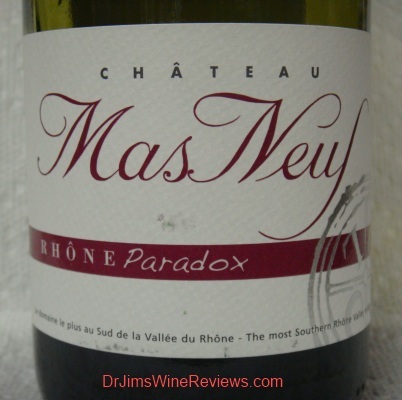 Red Wine: Rhone Paradox, 2008, France. Smell and taste of cherries and apricots with some spice and pepper on the finish. Not quite there.